Prepared or not, the damage from a storm on your commercial space can be as devastating as anything, with workflow and profitability at risk almost immediately. SERVPRO of Ronkonkoma understands the severity of a storm, and with high winds, rain and flooding that can happen on a moment’s notice, it only takes a few short minutes to sustain a substantial amount of damage. Every moment spent after a storm with damage pulls away your ability for profit and productivity -- which can cripple a business. When an emergency situation happens and you need assistance quickly, a trained team is the difference between effective remediation and more lost business. Should you need service, no matter the time of day, make sure to give SERVPRO of Ronkonkoma a call. We offer our Long Island business owners a convenient, 24-hour emergency hotline to help begin the process as soon as it occurs. Our approach is to be “Faster To Any Size Disaster”, and we mean it! 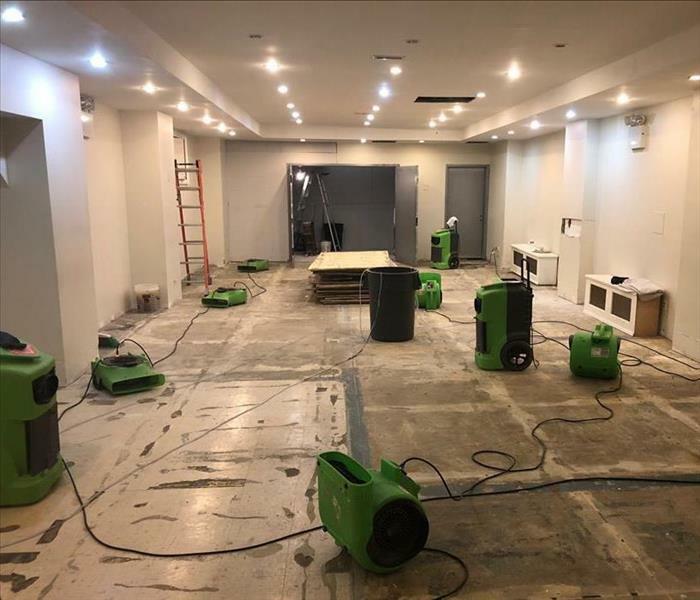 SERVPRO of Ronkonkoma has the training, experience, and equipment to handle large commercial storm or water damage emergencies. Regardless of your property type or size, we will respond quickly to clean the property and manage the restoration project through to its completion. Learn more about our training and certifications. 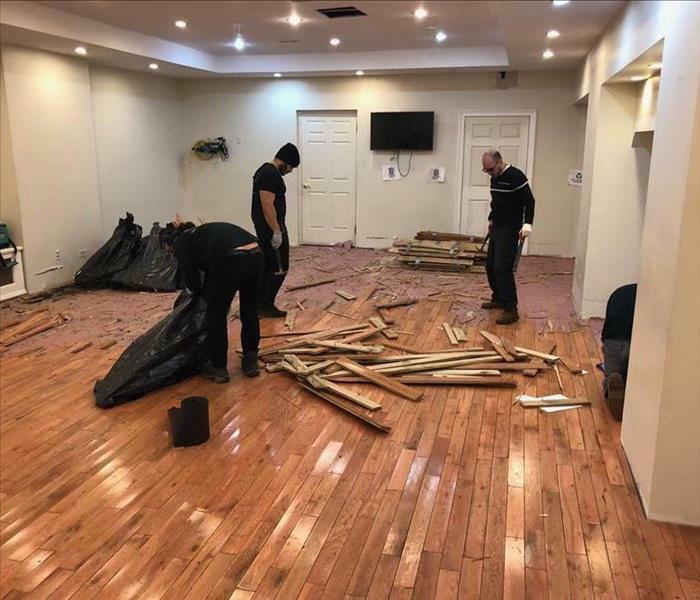 SERVPRO of Ronkonkoma will respond immediately to the storm or flood event affecting your commercial property, regardless of the size or scope of the damage. We are part of a national network of over 1,700 Franchises with special Disaster Recovery Teams placed strategically throughout the country to respond to large scale events and disasters.